Lovely quality towel hanging rails in the latest Italian styles. 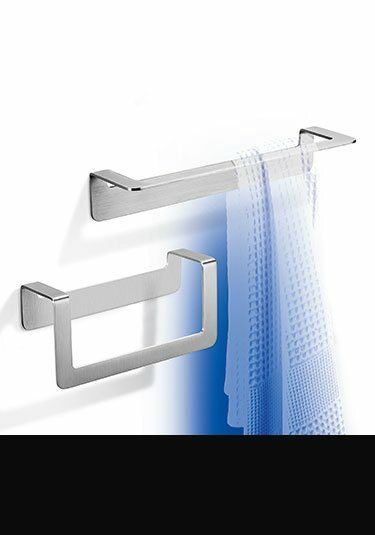 These luxury towel bars and towel rings are all part of matching bathroom accessory collections, so a matching bathroom theme can be achieved. 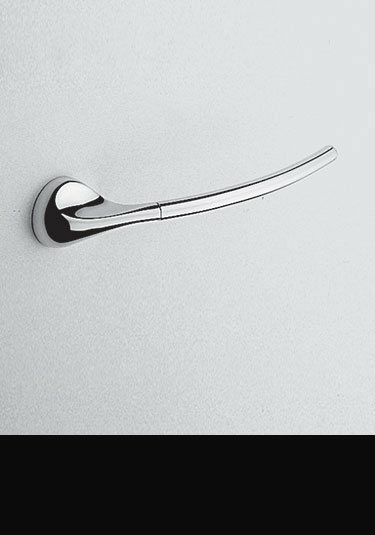 We offer towel bars in different styles and lengths in chrome, gold and stainless steel finishes. All towel holders are covered with a 10 year corrosion free guarantee. Initially designed for hanging towels, but we have had many customers who have use this stylish hook as a toilet roll holder. Whatever your choice this is a beautiful bathroom accessory. Part of a full collection of designer accessories. 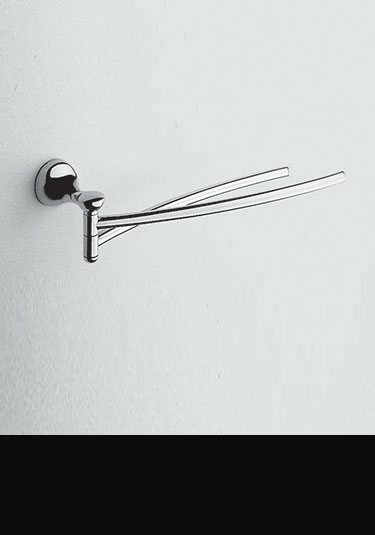 Part of a matching collection of luxury bathroom accessories this finger towel bar is a lovely addition to high quality designer bathrooms. 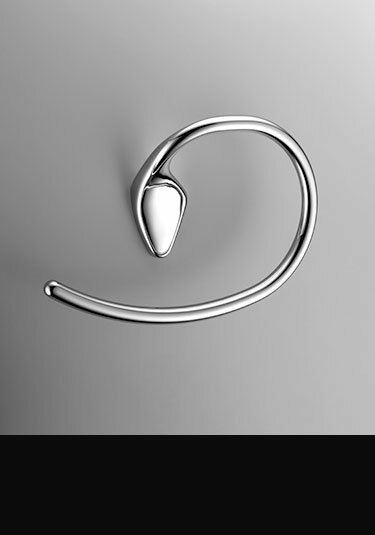 Made of solid brass with a smooth chrome finish this towel hanger is supplied with a 10 year guarantee. Finished in a thick chrome plating onto a solid brass body, this Italian designer towel rail is beautiful quality and is supplied with a 10 year gaurantee. 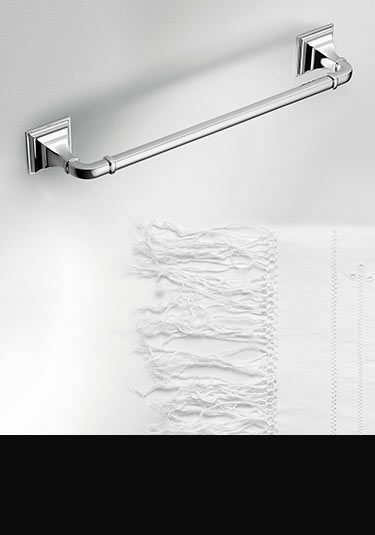 This towel hanging bar is part of a full collection of exclusive bathroom accessories. A twin finger towel rail made of solid brass with a chrome finish. Both towel hanging bars are fully adjustable. 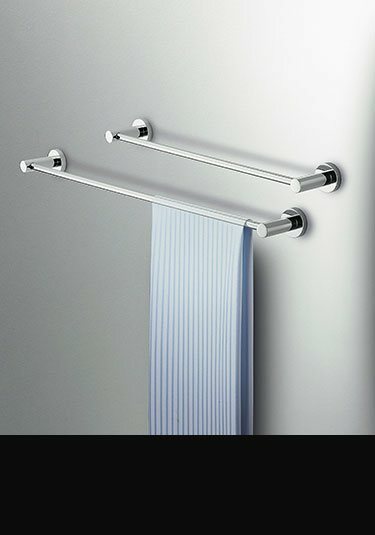 Part of a full collection of luxury highest quality bathroom accessories. Beautiful quality with modern contemporary styling. 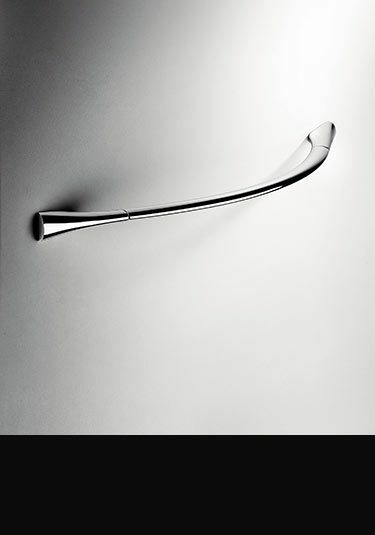 These towel bars are made in Italy in solid brass with a thick chrome plating. Part of a larger bathroom accessory collection. 10 year guarantee. Lovely Italian styling and beautiful quality, this towel ring is Italian made in solid brass with a polished chrome finish. Part of a full bathroom accessories collection with a 10 year guarantee. Lovely contemporary styling and beautiful quality, these stainless steel towel rails are available in 3 bar lengths, with a towel ring hoop also available. Supplied with a 10 year guarantee. 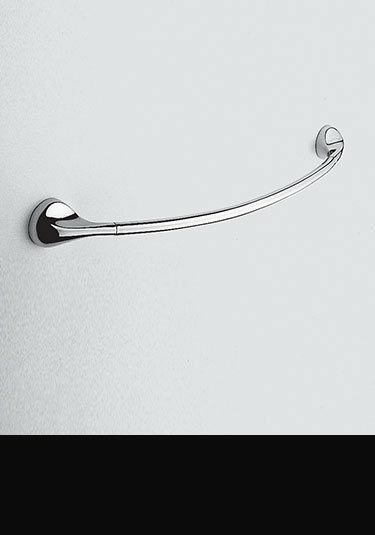 Superb quality & contemporary styled towel bars that are made in Italy in superior brass with a tough chrome plated finish. Part of a designer bathroom accessory collection supplied with 10 year guarantee. Beautiful contemporary styling and lovely luxury quality, this towel hanging ring is Italian styled and made in solid brass with a chrome finish. Part of a designer bathroom accessory collection supplied with a 10 year guarantee. 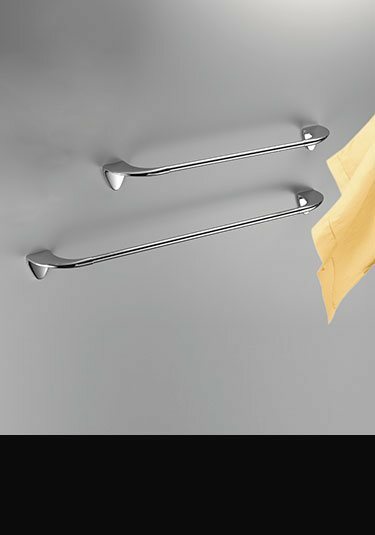 Stylish towel hanging rail made in Italy in solid brass with a thick chrome plated finish. Part of a luxury bathroom fittings collection. Supplied with 10 year corrosion free guarantee. 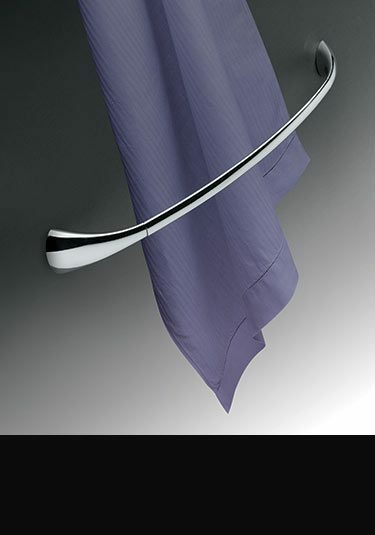 This beautiful quality designer towel hanging bars is made in Italy in solid brass with a thick chrome finish. Part of a larger luxury bathroom accessory collection. Supplied with 10 year guarantee. 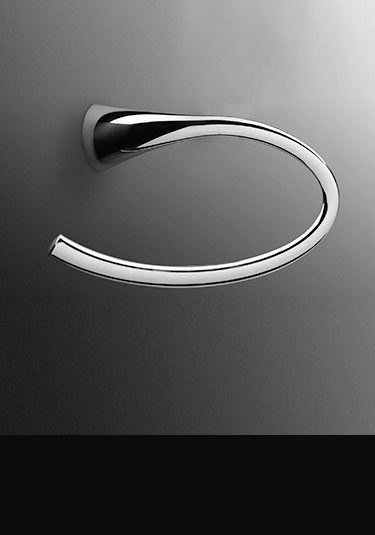 Lovely styling and luxury quality, this towel ring is Italian made in solid brass with a chrome finish. 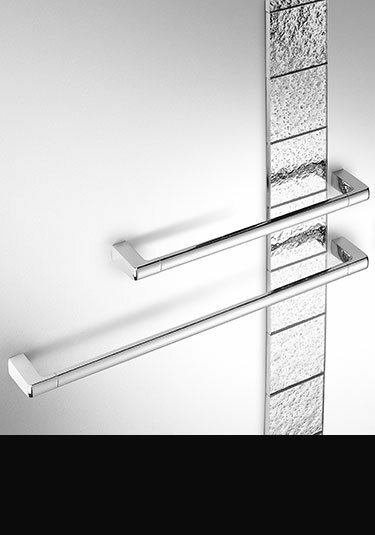 Part of an exclusive bathroom accessory collection and supplied with a 10 year guarantee. Beautiful quality with modern contemporary styling. These towel bars are made in Italy in solid brass with a thick gold plated finish. Part of a larger gold bathroom accessory collection. 10 year guarantee. Lovely contemporary styling and beautiful quality, this gold plated towel ring is Italian made in solid brass with a polished golden finish. Part of a full bathroom accessory collection with a 10 year guarantee. 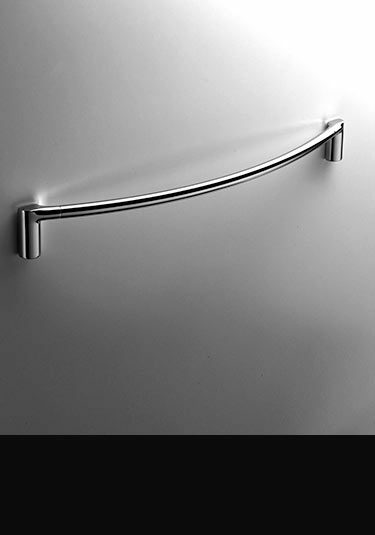 A beautiful quality & contemporary styled towel bars for wall mounting. This designer towel rail is Italian made in brass with a thick chrome finish. Part of a larger luxury bathroom accessory collection. Full 10 year guarantee. 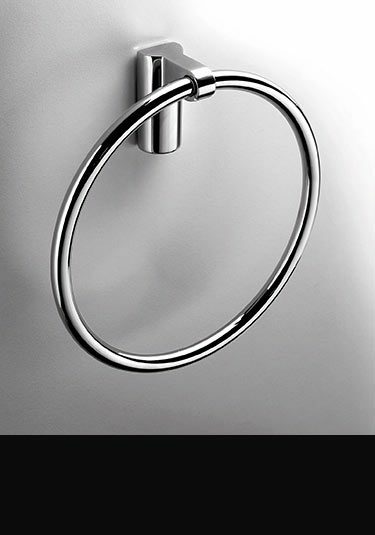 Lovely designer styling and beautiful Italian quality, this contemporary towel ring is made in solid brass with a chrome finish. Part of a full bathroom accessory collection with a 10 year guarantee. 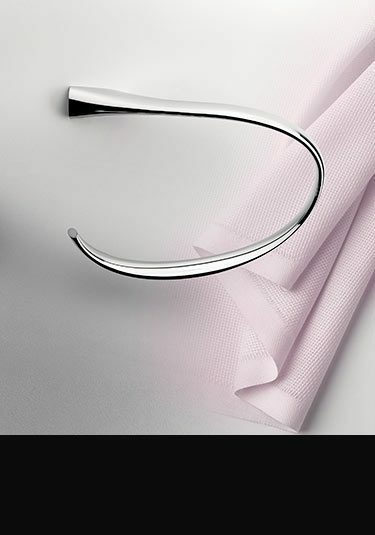 Beautiful quality & the latest contemporary styling this towel hanging bars that is made in Europe in solid brass with a thick chrome finish ensuring quality. Part of a luxury bathroom accessory collection. 10 year guarantee. 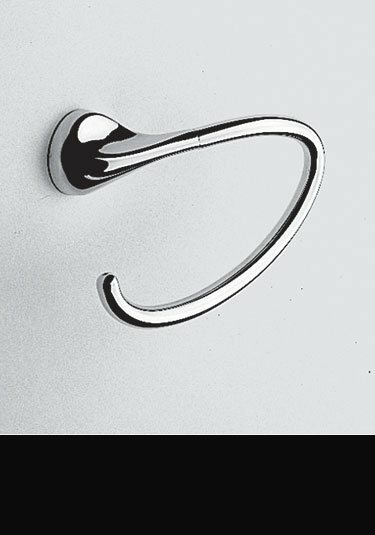 Lovely Italian styling and beautiful quality, this towel ring isEuropean made in solid brass with a thick chrome plated finish. 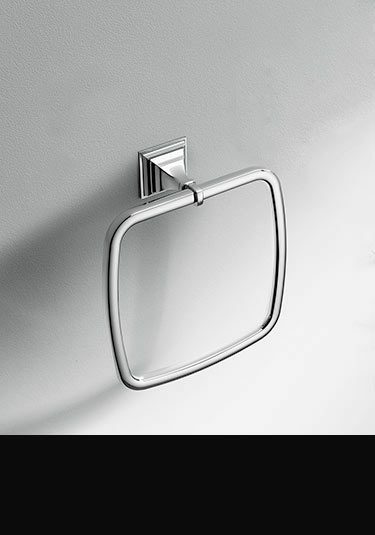 Part of a luxury bathroom accessory collection with a 10 year guarantee. 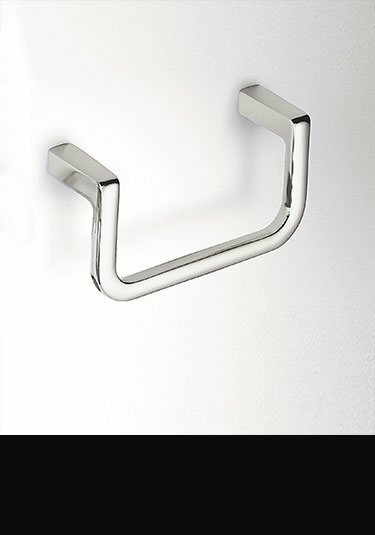 Beautiful quality & traditional styled towel bars that is made in Italy in solid brass with a thick chrome finish. Part of a larger bathroom accessory collection. 10 year guarantee. Lovely classical styling and beautiful quality, this towel ring is Italian made in solid brass with a chrome finish. Part of a full bathroom accessory collection with a 10 year guarantee.